Fill a test-tube halfway with nutrient, add a few drops of pH Test Indicator, and observe the coloration of the liquid in the test vial. Use 3 drops per 5 mL of solution. 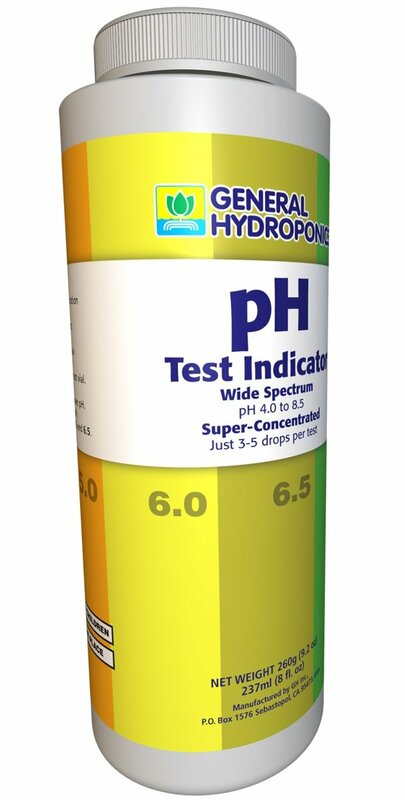 Sold in a Pint size bottle for refill of 1oz pH Test Kit.